Here is a Black ash burl cigar. 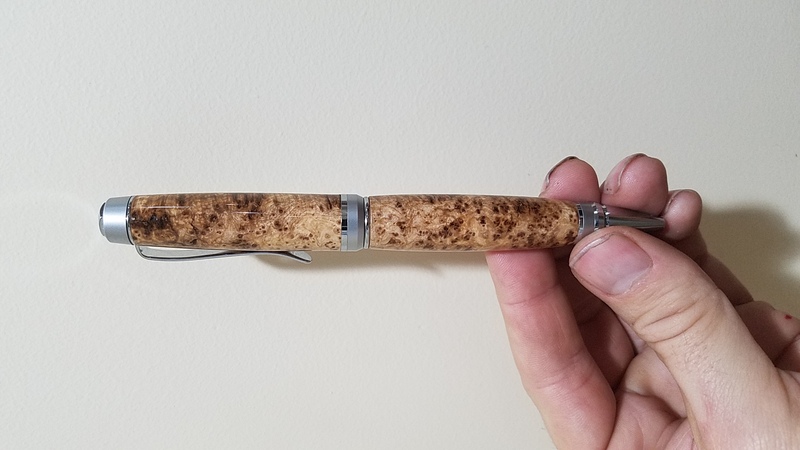 And here is my second pen I made using my NEJE and a Jack Daniels blank. I love black ash burl. 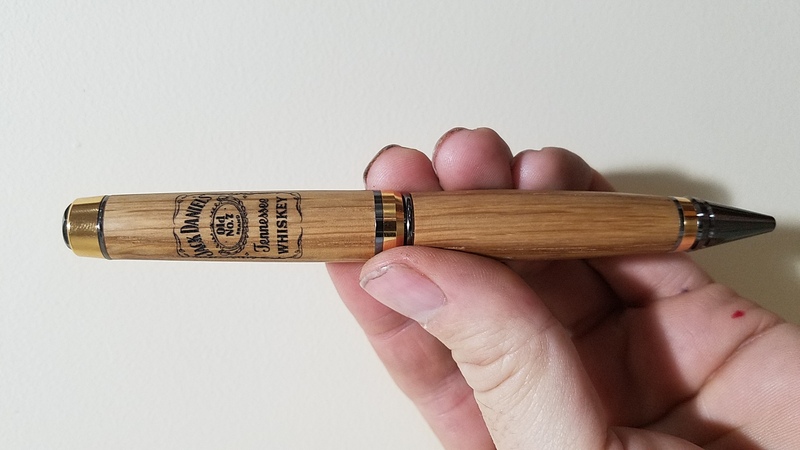 Nice pen. Nicely done with the lazer engraver. Just curious, do you have to have permission to copy part of a trademark label? I know with military branches and sports teams etc. you do in at least some circumstances. I have thought of doing other branding labels but was always unsure. Jason did you use a rotary jig with that engraving? [quote=Talltim;2010662]I love black ash burl. Nice pen. I do not have permission to use this trademark label. Since I am giving this pen away, I don't believe I need it. I did use a rotary jig for this. Man you are raising the bar for the rest of us, great work!!!! Beautiful BAB pen, Jason !! And that engraving is superb !!! Beautiful Black Ash Burl, and JD Whisky Keg Oak. Nicely Turned, Fitted and Finished, With Great Engraved Logo.